BeefCentral.com is a free online premium news and market intelligence service dedicated to the Australian beef industry. It is independently owned and produced by two of Australia’s most experienced rural journalists, Jon Condon and James Nason. Business development and advertising manager is Rod Hibberd (click here to access advertising contact details). Beef Central’s premium news and information service is objectively written and independently researched by dedicated beef industry journalists supported by a national and international network of authoritative commentators and analysts. In short, if it matters to the Australian beef industry, you will read about it on Beefcentral.com. Every day we send out a free email newsletter allowing readers to conveniently access our fresh news headlines each day. Beef Central takes complaints about editorial content seriously. If you have a complaint about something we have written or published please click here for details on our complaints handling process. Thankyou for your wonderful updates each day. Living where we live makes keeping up with beef news, marketing etc difficult. Beef Central has made a huge difference to our lives. For the record, the comprehensiveness of your daily productions is outstanding, so well done. Other industries must envy the beef industry getting such regular diverse reporting. This website has become a real “go-to” for beef industry participants and it all comes down to the quality content, compiled by highly skilled and experienced journos. The corporates would rather attract young and inexperienced journos and put them on lower wages than justify a larger investment for a higher quality output. Beef Central is all that and more so congrats Jon and James for identifying that gap in the market, and succeeding as a result. (On BC’s new property section): This is a great idea & so helpful to people on the land who need all the help they can get. Congratulations Beef Central. Many congratulations Beef Central – a job excellently done. One of my “must reads” every day! Sincerely hope you will still be around to celebrate your 10,000th!!! Congratulations Beef central. Your timely beef news we can access on the go is very much appreciated. Mighty effort! I subscribed to Beef Central over 12 months ago, and have found it an important way of getting the correct information on beef cattle. I look forward to reading the daily email each afternoon. Keep up the great work. 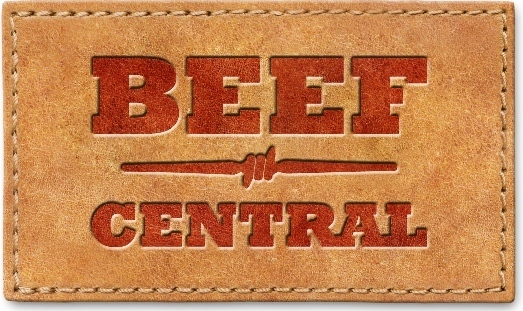 Recently I have subscribed to Beef Central and have found it a very good one stop for industry information. I continue to enjoy Beef Central, you are to be complimented on providing such a great service to our industry. Mark Gubbins, Victorian stud cattle breeder and past president, Angus Australia.